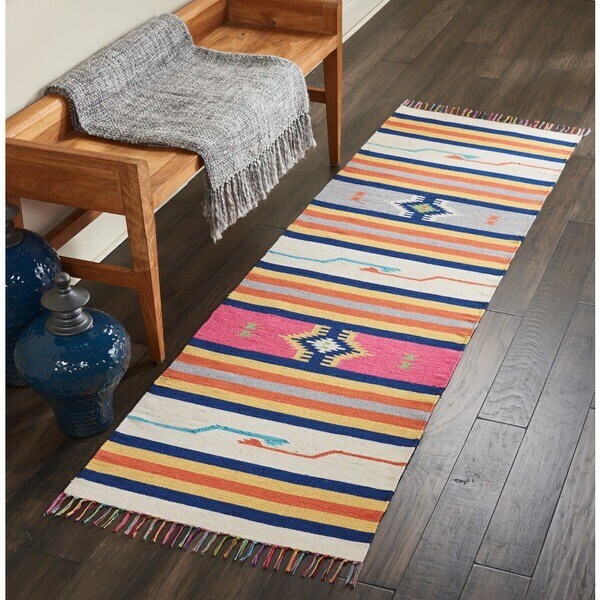 This rug has a great bohemian look to it. The colors are a bit darker than they appear in the photo, the cream colored stripes are closer to beige in reality. I actually like it better with the more muted tones, it adds to the boho vibe. This rug is pretty thin. I have it at the side of my bed and it looks great but I don't know how it would hold up in a more high-traffic area. Rug is very cute and vibrant colors.